Professional cultivators growing high quality crops worldwide are singing the praises of Advanced Nutrients Connoisseur Ultra Premium, high production, comprehensive bloom fertilizer. 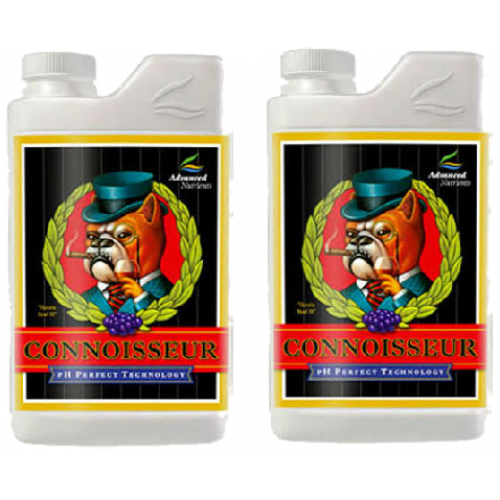 Get this exclusive 2 part formula today and be totally satisfied at the end of your harvest cycle.Connoisseur is a flowering nutrient only and is not suitable for use during the Veg phase of plant growth. Connoisseur is a hydroponic nutrient and is not suitable for growing in COCO or soil.